then directed by Stuart Gordon, he had produced five years prior. Of course the sequel in question is BRIDE OF RE-ANIMATOR, which like its predecessor(s) has gone on to be regarded as a cult favorite – enough of one to warrant a recent release from Arrow Films, which is packed (and that’s putting it lightly). But does such a film deserve such a package, and vice versa? Let’s begin the autopsy and find out. Picking up eight months after the events of the first RE-ANIMATOR, BRIDE finds our beloved, unlikely heroes Dr. Herbert West (Jeffrey Combs) and Dan Cain (Bruce Abbot) fleeing Peru amidst a chaotic civil war – a travesty which they (or at least Mr. West) were quick to exploit in the interest of further exploring their now-well-established method of reanimation. They return from whence they came (that being Arkham, Massachusetts) and take up their old jobs once again, but of course West isn’t one to just settle down that easily. West discovers that the reanimation reagent works on single body parts – as exemplified in a wonderful scene involving human fingers and an eyeball – and is determined to create an entire human being comprised in this way. While both men are hard at work trying to cover up their mischief, a persistent police officer is hot on their tail and the diabolical Dr. Carl Hill’s reanimated head seeks vengeance on the lot of them once again. What this all amounts to is a genuinely exhilarating finale in which Yuzna’s go-to-effects guru Screaming Mad George lets loose more of his grotesque creations – more than we can handle, even! In fact, BRIDE OF REANIMATOR is arguably at its best when Yuzna is content to revel in sheer FX spectacle. Unfortunately, there’s not quite enough of this to compensate for everything else. I recall finding BRIDE to be a bit of a slog from years ago when I first saw it, and as it turns out, little has changed over time to change that. Yuzna ultimately can’t decide on a tone, the pacing is botched by an accumulation of uninvolving side-stories, and it doesn’t feel like he understands the characters completely. West, or rather Combs, feels significantly toned down from the first film as does Cain, whose grief following that film’s events is left unexplored to service other, simpler indulgences. Even in horror-comedy, however subtle, there must be some emotional thread to cling to, and here there is none, which leaves it bland and messy though not without its momentary pleasures. Nevertheless, Arrow has lived up to the deservingly high expectations and delivered a package that is sure to please fans both new and old. The quality of the restoration is solid, and very well might be the final word on this film as far as that goes, and it sounds beautiful as well. But the meat of this release is in the extras, of which there are more than enough to satisfy BRIDE enthusiasts for a while. For starters, there’s a reprint of a 1992 RE-ANIMATOR prequel comic that is sure to delight the die-hards. Moving on to the first of three discs, we get the expected cast/crew commentaries and walks down memory lane courtesy of Yuzna and company. Then we move on to behind the scenes footage, deleted scenes, and of course a theatrical trailer. These extras provide valuable insights and are a lot of fun, though they don’t quite compel me to reevaluate my stance on the film itself. 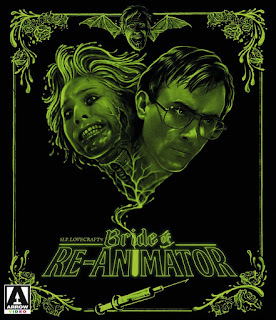 BRIDE OF RE-ANIMATOR is a very watchable, though deeply flawed sequel to Stuart Gordon’s legendary, very fun original. 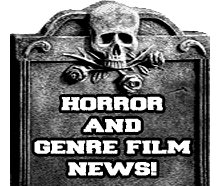 It’s not difficult to imagine many a genre fanatic finding plenty to admire and even enjoy from this offering, but those already critical of Yuzna will likely find that we share several of the same issues. But I’ll give credit when and where it’s due; Arrow has done a marvelous job with this release, as per usual, giving the fans what they want out of a Special Edition. If this is to be the final word on BRIDE, then I truly have no complaints. Highly recommended for those already initiated, and more of a “rental” recommendation for those who are not.